"I love Germany so much that I am glad there are two of them," the French novelist and Nobel laureateFrancois Mauriac commented acerbically during the Cold War. Investor Tim Draper loves California so much that he thinks there should be six of them. Draper is one of Silicon Valley'ssuperstar venture capitalists, an early funder of numerous high-tech enterprises, including, most famously, Skype and Hotmail. He is also the prime mover behind the "Six Californias" initiative, a proposal to partition the nation's most populous state into six smaller ones. From north to south, those new states would be: Jefferson, North California, Central California, Silicon Valley (including San Francisco), West California (including Los Angeles), and South California. With 38 million people spread over such a vast and varied territory, Draper argues, a monolithic California has grown ungovernable. The state's population is more than six times as large as the average of the other 49 states, and too many Californians feel estranged from a state government in Sacramento that doesn't understand them or reflect their interests. Can Draper's six-state plan do better? 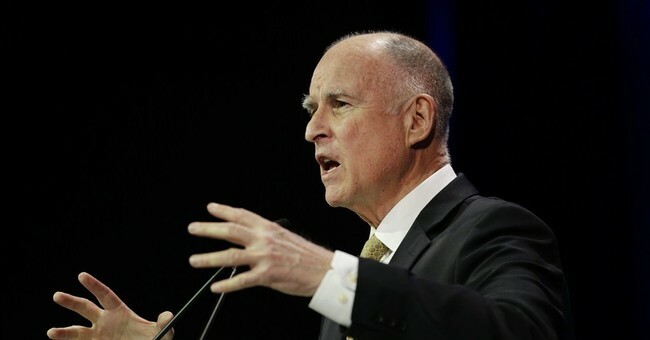 It moved one step closer to plausibility last month, when California's secretary of state gave backers the go-ahead to begin collecting the necessary petition signatures to put "Six Californias" on the ballot. If 808,000 signatures are submitted by July 14, the measure could go to voters in November. Clearly, a six-way Golden State split is the longest of long shots, and critics aplenty have already started blasting Draper's proposal. But even many of the critics agree that California has become an unwieldy, unmanageable mess. "No other state contains within it such contradictory interests, cultures, economic and political geography,"writes Keith Naughton at PublicCEO, a website that covers state and local California issues. "It has become impossible to even remotely reconcile the array of opposing forces. The only way to get anything done is to shove laws and regulations down a lot of unwilling throats." In the Los Angeles Times, business columnist Michael Hiltzik claims the economic fallout from the Six Californias plan would be "horrific" — he's especially disturbed that the proposed new state of Central California "would instantly become the poorest state in the nation," while Silicon Valley, where Draper lives, would be one of the wealthiest. Yet Hiltzik concedes that "Californians have lost contact with their government as more budgeting and administration [have] been upstreamed to Sacramento" and as state policies have "taken decision-making for everything from pothole repair to art and music classes out of the hands of the locals." It's been a long time since an existing state was partitioned into smaller states. It last happened in 1863, when 50 northwestern counties of Virginia were renamed West Virginia and admitted as the 35th state. More than 40 years earlier, Maine, which had been part of Massachusetts since the 1650s, voted overwhelmingly for a divorce, and eventually entered the union as a new state in 1820. In both cases, separation was driven, then embraced, by communities and people who had grown alienated from a state government dominated by interests they didn't share. West Virginia's mountain people had chafed under Richmond's rule, and sharply opposed the formation of the Confederacy. Mainers had long complained that the Legislature in Boston — where Maine was underrepresented — was not only too far away, but too willing to sacrifice their interests to those of Massachusetts. Maybe those chapters from 19th-century history have no relevance to California today. Or maybe Draper is onto something that shouldn't be dismissed too casually. Last September, in California's rural north, Siskiyou County and Modoc County voted to pursue secession from California and support the creation of a new State of Jefferson. Local residents crowded the Siskiyou board of supervisors' chambers, and when a speaker asked who in the audience favored the idea, the local paper reported, "nearly every hand in the room was raised." Conventional wisdom says Draper's scheme hasn't got a chance. But venture capitalists have a knack of seeing openings and opportunities that most people miss. Would "Six Californias" would be an improvement over the status quo? That's definitely a debate worth having.